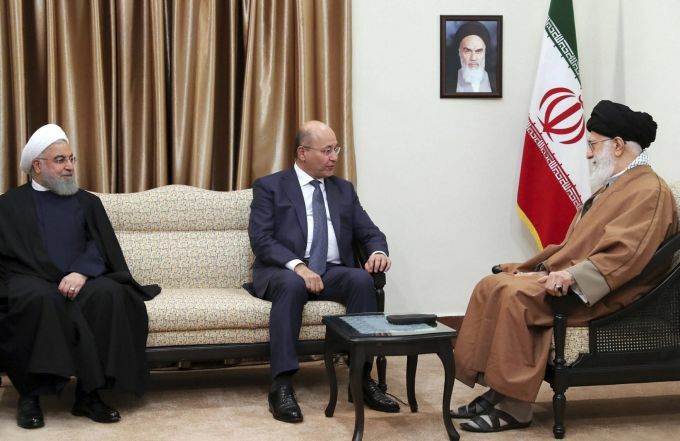 Tehran: In this picture released by an official website of the office of the Iranian supreme leader, Iraqi President Barham Salih, center, speaks with Iranian Supreme Leader Ayatollah Ali Khamenei, right, as his Iranian counterpart Hassan Rouhani listens during their meeting in Tehran, Iran, Saturday, Nov. 17, 2018. Salih began a visit to Iran on Saturday, where he pledged to improve relations less than two weeks after the United States restored oil sanctions that had been lifted under the 2015 nuclear deal. A portrait of the Iranian revolutionary founder Ayatollah Khomeini hangs on the wall. 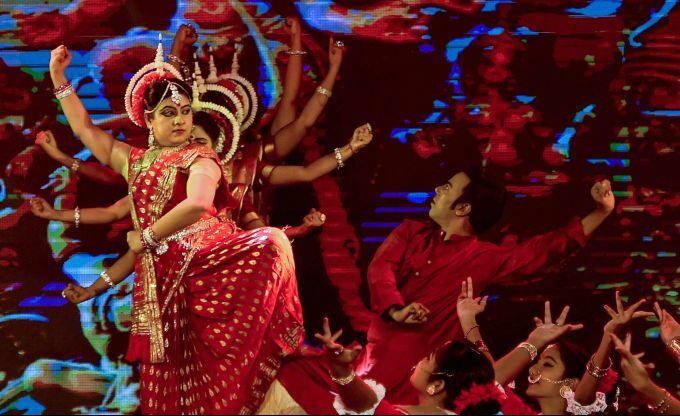 Kolkata: Former Indian Cricket Captain and CAB President Sourav Ganguly's wife eminent dancer Dona Ganguly with her troupe perform during closing ceremony of 24th Kolkata International Film Festival in Kolkata on Saturday, Nov17, 2018. 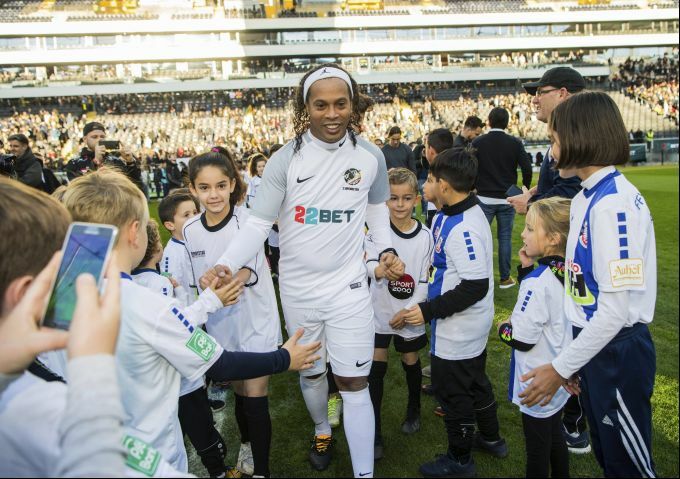 Frankfurt/Main: Former Brazilian soccer player Ronaldinho, center, arrives for a benefit game of an international soccer team against an Eintracht Frankfurt all-star team in Frankfurt, Germany, Saturday, Nov. 17, 2018. 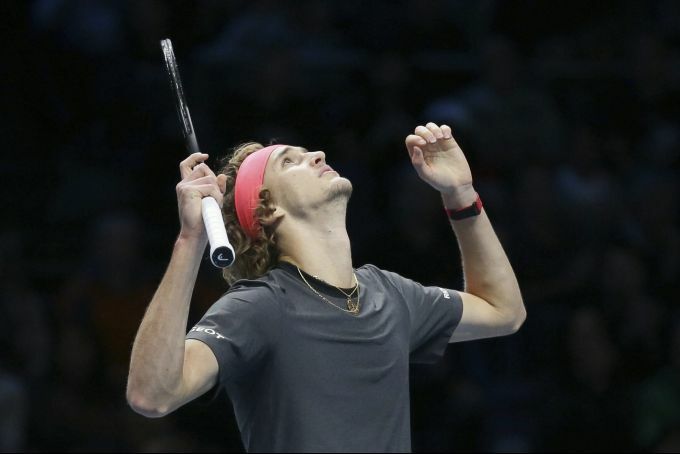 London: Alexander Zverev of Germany celebrates winning match point against Roger Federer of Switzerland in their ATP World Tour Finals singles tennis match at the O2 Arena in London, Saturday Nov. 17, 2018. 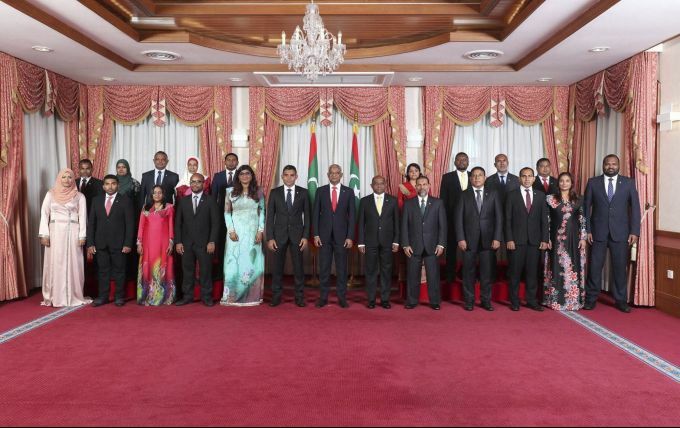 Male: Maldives' new President Ibrahim Mohamed Solih stands for a photograph with members of his new cabinet in Male, Maldives, Saturday, Nov. 17, 2018. 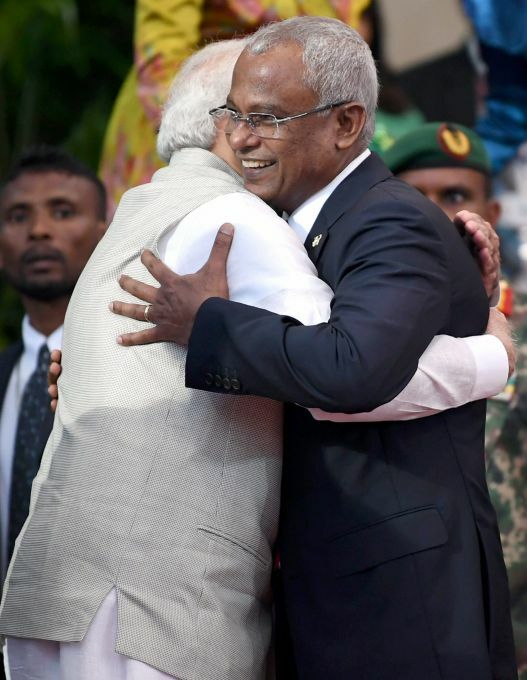 Thousands of people cheered Solih, from the Maldivian Democratic Party, at a swearing-in ceremony Saturday in a soccer stadium chosen to accommodate a large number of his supporters.